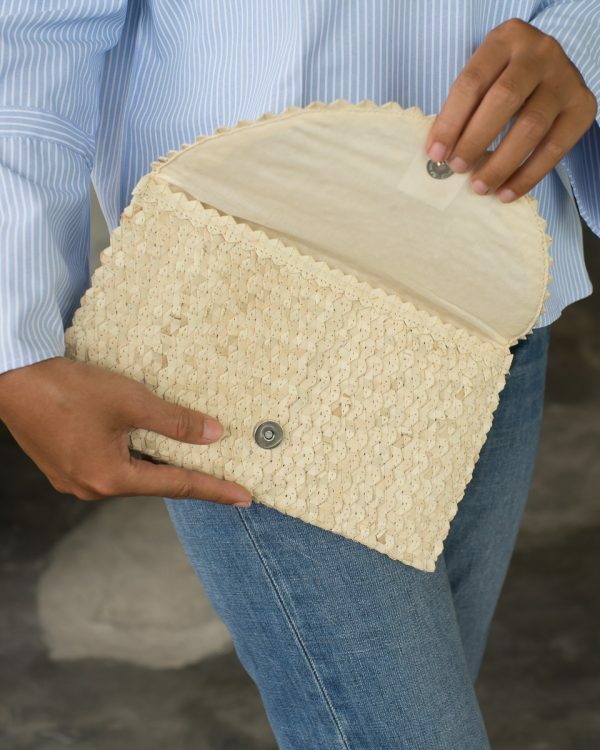 You can bring this palm clutch anywhere. 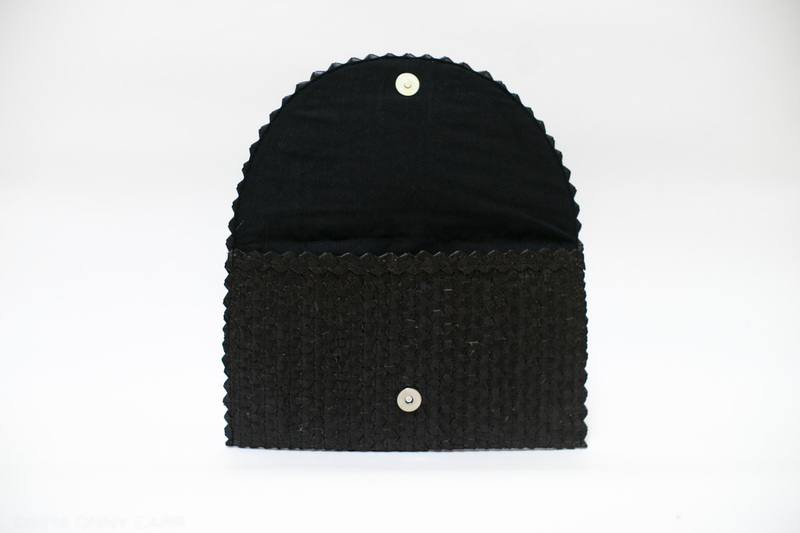 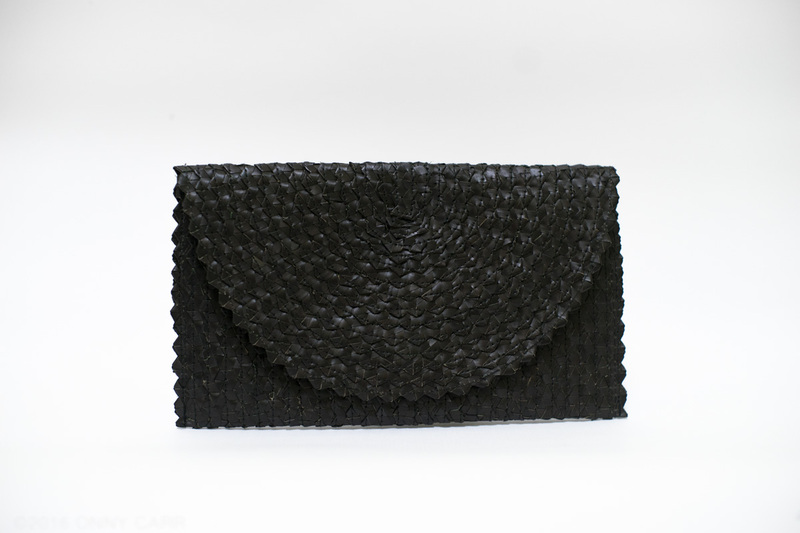 Take this stylish clutch with you to the office, to a formal event, or just for hanging out at your favorite cafe. It’s slim and compact, very useful for storing personal items. 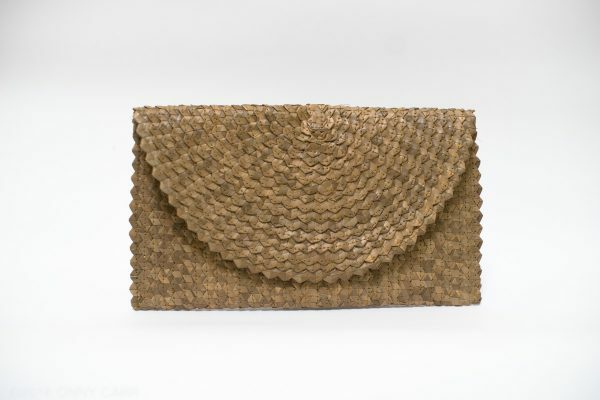 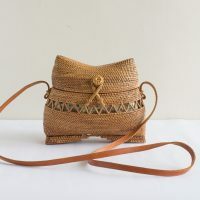 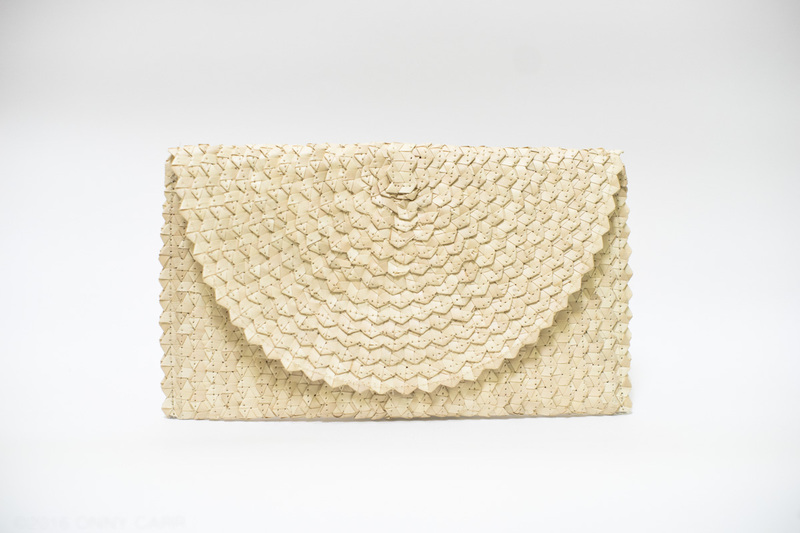 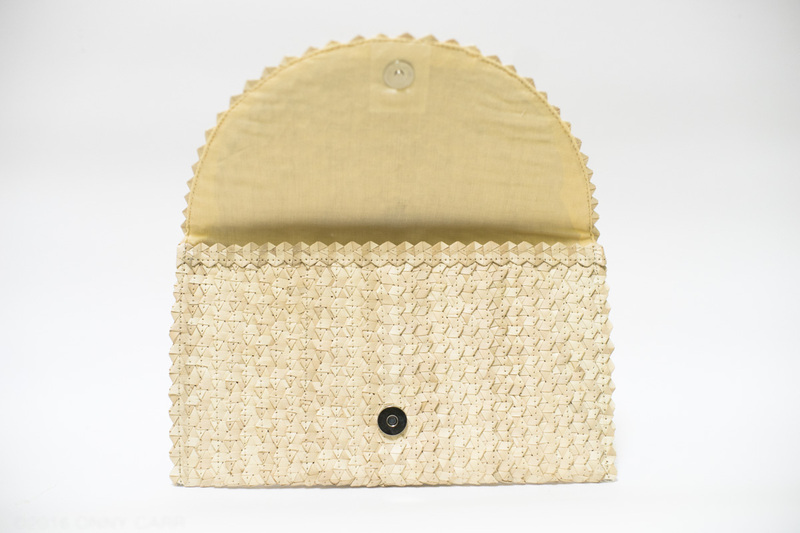 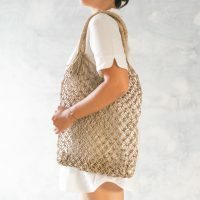 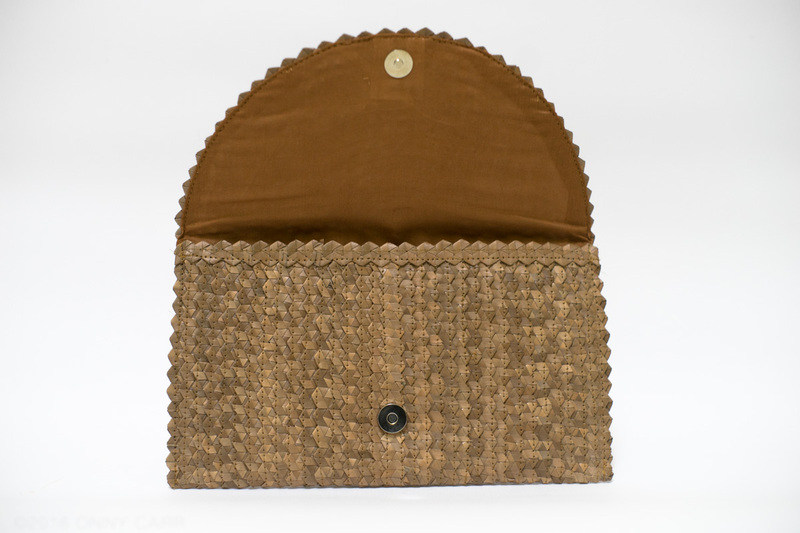 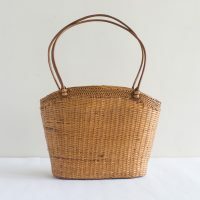 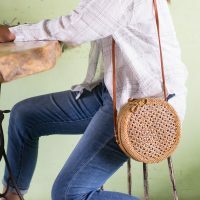 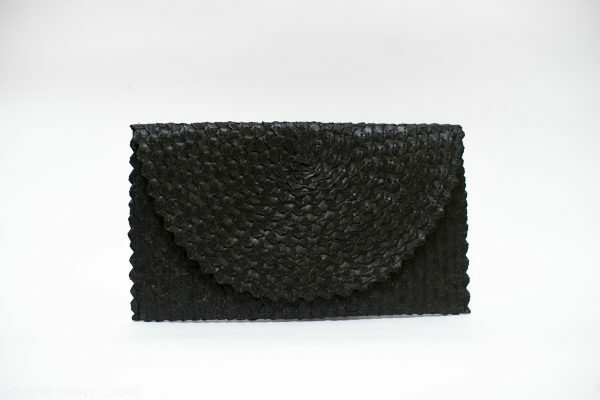 This woven palm clutch handbag is quite simple but has its own elegant unique characteristics. 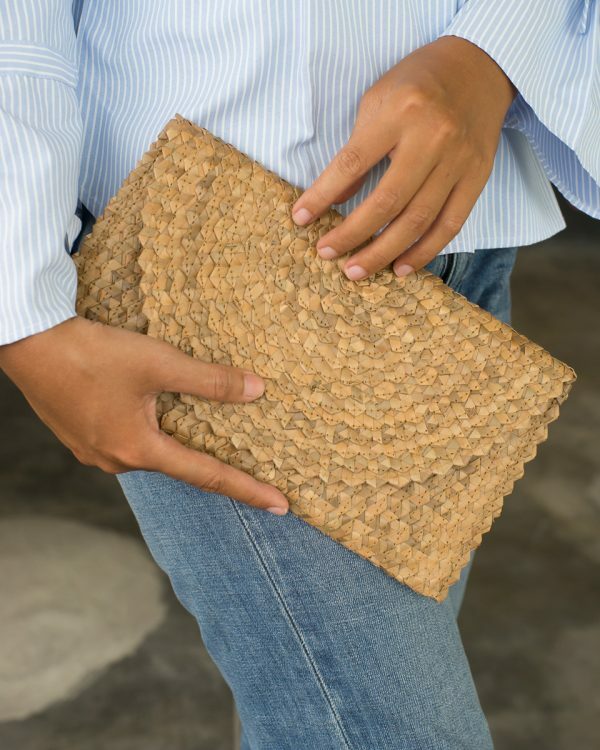 Each handmade bag is crafted in Bali from natural palm leaves, woven using a zigzag textured pattern into a slim envelope shape. 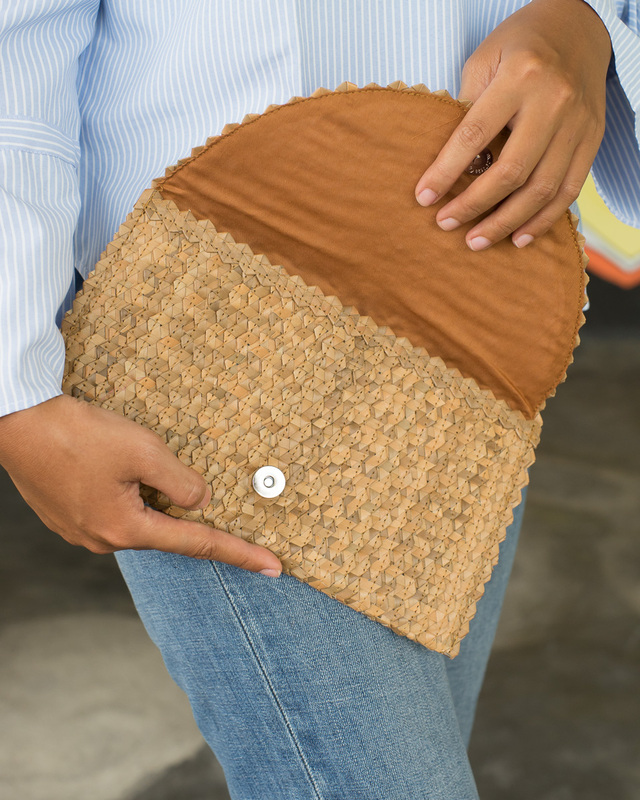 You can bring this palm clutch anywhere. 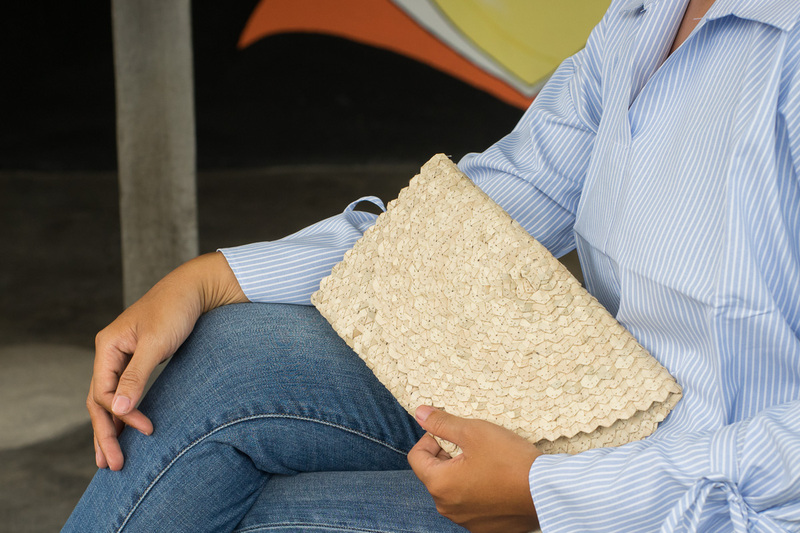 Take this stylish clutch with you to the office, to a formal event, or just for hanging out at your favorite cafe. It’s slim and compact, very useful for storing personal items. 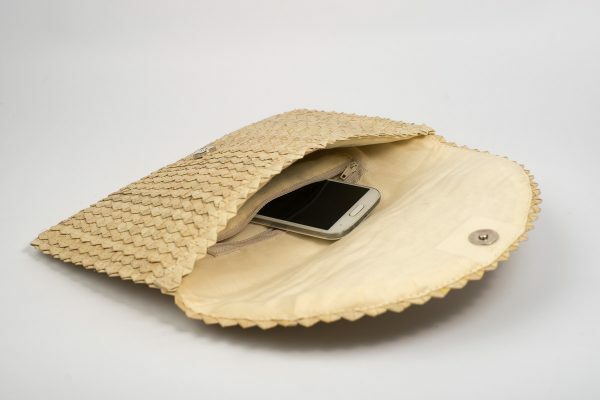 This palm handbag has a cloth lining and a magnetic flap closure.